“Queen of Suspense” Mary Higgins Clark and Alafair Burke are back with their fifth enthralling mystery in the New York Times bestselling Under Suspicion series; You Don’t Own Me finds television producer Laurie Moran stopping at nothing to solve the murder of a celebrity doctor—even as she finds herself in grave danger as a mysterious stalker plots his next move. When we last saw Laurie Moran, she had recently become engaged to her show’s former host, Alex Buckley. Since then, the two have been happily planning a summer wedding and honeymoon, preparing for Alex’s confirmation to a federal judicial appointment, and searching for the perfect New York City home for their new life together. But then Laurie is approached by Robert and Cynthia Bell, parents of Dr. Martin Bell, a famously charming and talented physician who was shot dead as he pulled into the driveway of his Greenwich Village carriage house five years ago. The Bells are sure that Martin’s disgraced and erratic wife, Kendra, carried out the murder. Determined to prove Kendra’s guilt and win custody over their grandchildren, they plead with Laurie to feature their son’s case on “Under Suspicion,” ensuring her that Kendra is willing to cooperate. Kendra has lived under a blanket of suspicion since Martin’s death, with the tabloid media depicting her as a secretive, mentally unstable gold-digger. Laurie’s show is a chance for her to clear her name. But unbeknownst to the Bells, Kendra has already refused once before to go forward with a re-investigation of her husband’s murder, and her statements to the contrary only add to the appearance of guilt. But once Laurie dives into the case, she learns that Martin wasn’t the picture-perfect husband, father, and doctor he appeared to be and was carrying secrets of his own. And what does the web of lies ensnaring the Bell family have to do with a dangerous stranger, who gazes at Laurie from afar and thinks, She is actually quite a lovely girl, I’m sure she’s going to be missed…? You Don’t Own Me is the perfect, exhilarating follow up to the bestselling Every Breath You Take. 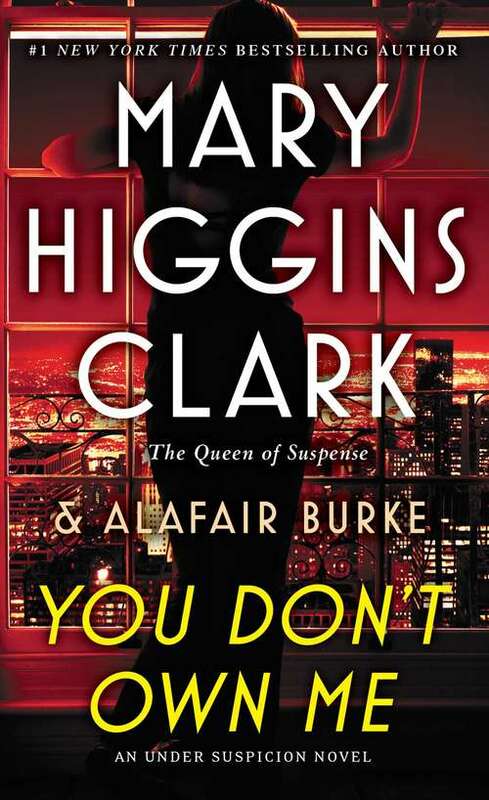 The “Queen of Suspense” Mary Higgins Clark and her dazzling partner-in-crime Alafair Burke have devised another riveting page-turner.